Charles Darwin University is taking part in a nationwide campaign designed to realise the full potential of the higher education sector in building a prosperous Australia. Universities Australia, the peak body of the higher education sector, today released the first comprehensive higher education policy agenda, entitled "A Smarter Australia", which provides a roadmap for cooperation between government and universities to optimise the benefits of education and research to the country. * Increasing investment to improve efficiency and reduce red tape. 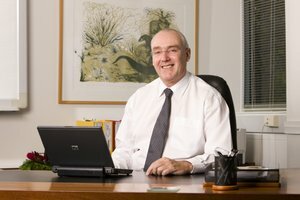 "CDU is in a fortunate position in the higher education sector because of our long-term partnership agreement with successive NT governments, which has been deigned to achieve sustainable outcomes for the NT, particularly in areas such as economic and social development," Professor Glover said. "It is this style of cooperation with government that the higher education sector needs to achieve for the future wellbeing of Australia. "Other nations, especially in our region, are investing heavily in their own higher education systems at the same time as countries such as the US and the UK are expanding their international education industries." This was occurring while Australia languished in the bottom 20 per cent of OECD countries for public investment in universities. Professor Glover said he commended the policy statement to all political parties as they developed policy positions on higher education in the lead up to the federal election. "Universities are the key to keeping Australia strong by building true wealth. They must be a big part of every plan to revitalise our economy and strengthen our society," he said.